Henry Leland—the Detroit inventor, engineer and entrepreneur—played a key role in the early automobile industry. He founded the Cadillac, the Leland, and the Lincoln automotive firms, played a role in the development of Oldsmobile, and led the nation’s efforts during World War I to design and mass produce an effective aircraft engine. Nellie Leland was the wife of Henry Leland. As was common among the spouses of very rich men in that age, she served on the boards of several Detroit area charitable organizations. She focused her efforts upon the tremendous problems of the tubercular poor. In that era, there were no sulfa drugs to treat tuberculosis, and the urban living conditions of new migrants and the impoverished exposed them to the risk of this highly common and contagious disease. Nellie Leland also promoted the scientific study of the treatment and cure of tuberculosis. Leland encouraged Detroit school officials to build a school that could serve the special needs of physically handicapped children. The Americans for Disability Act did not become a law until 1990, so local schools at the turn of the Twentieth Century had no obligation to provide an education to handicapped children or to those who did not speak English. Parochial schools often taught their classes in the language of the immigrants. The Leland School that you see in the photograph was innovative in its structural features that allowed handicapped children to learn. There were ramps, for example, for those bound to wheelchairs and the school you see was among the first in Detroit to have an elevator. Nellie Leland died in 1910, but her husband, in 1912, built and operated the first open-air school in Detroit for children in the earliest stages of their suffering from tuberculosis. 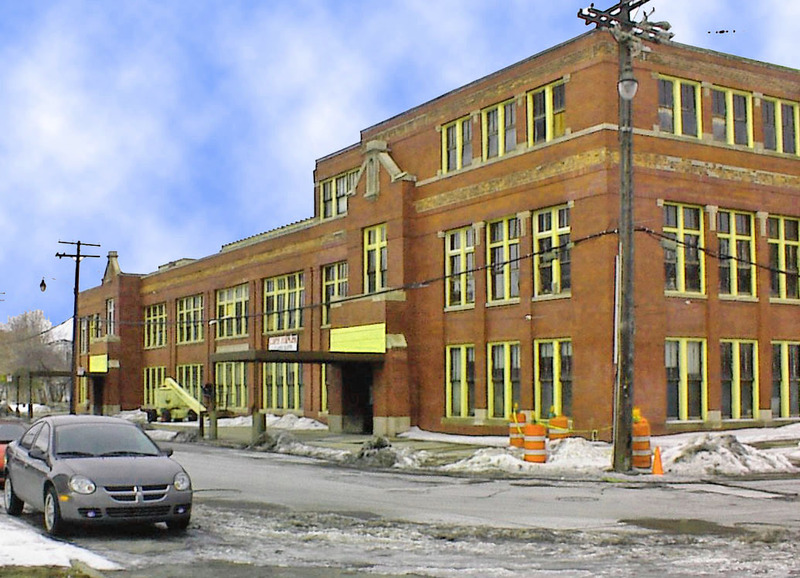 This Detroit school was named for Nellie Leland, but the name was transferred to the building you see when it was completed. From 1830 to 1866, the United States military had a barracks on this site. This was an induction center for those serving in the Civil War. Lieutenant Ulysses S. Grant had an office in these barracks from 1849 through 1851. So far as I know, this is the only site in the city of Detroit that provided office space for a future president of the county. There is no historic marker commemorating this location. This structure is located on Antietam Street. Antietam is an Anglicanization of an Algonquian name meaning "swift water." However, it was to name this street because of the Battle of Antietam, a location in Washington County, Marhyland. In early September, 1862, Confederate General Lee initiated an invasion of the North. A key battle was fought at Antietam. The advance of the confederate army was stopped by Union General McClellan failed to destroy the Confederate Army. Apparently, the great loss of American lives in a military battle occurred on September 17, 1862 at Antietam Maryland. It is fitting the Detroit elders used this name for a street in an area where General Grant once served.